About 400,000 New York City adults who smoke live with a child. Sadly, smoking takes the lives of 8,000 adults each year in the city, many of whom leave children behind. 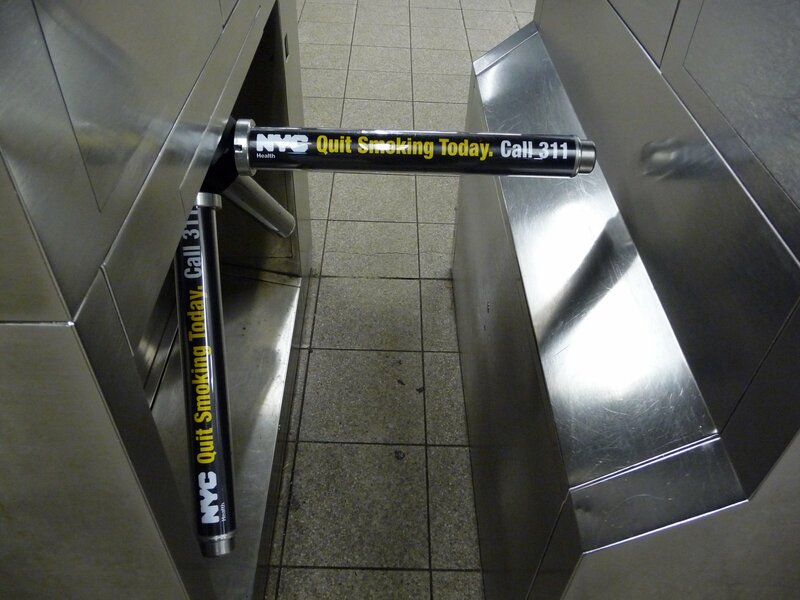 New Yorkers are urged to quit smoking and to call 311 if they need help. You can see the entire campaign on nyc.gov/health. This is definitely a good cause. We’ll have to wait to see if other advertisers start using this same medium in the future! Continental Airlines: Work Hard. Fly Right. My brother has asthma, as well, and my parents continued to smoke. I guess you’re right. An addiction is an addiction. Nonetheless, the commercial is pretty heart-wrenching. Unfortunately, I don’t that this commercial will get people to stop smoking. I know from experience that for some people who chain smoke having a son with severe asthma isn’t enough to make them quit smoking. They are too selfish in their addiction. My ex-wife was that way with our son.